Indian motorcycle tires are available in 500-16 and 400-18 sizes. 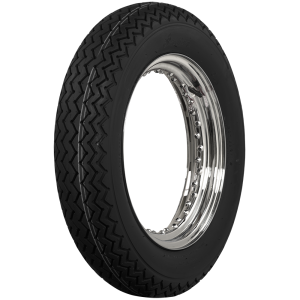 The all-black rubber tires feature a distinctive zig-zag tread pattern and authentic sidewall markings. The tires are specific to Indian motorcycles from the 1930s and 1940s, but are excellent tires for other bikes from that era as well as custom bike builds. Shop our complete line of motorcycle tires and tubes now!